The leaves of chaparral plants have long been used medicinally to treat a variety of diseases and ailments. It is also sold as an herbal supplement. While some research supports the use of a chemical found in the plant, chaparral is also linked to potentially deadly side effects. Chaparral refers to a group of closely related shrubs that grow wild in desert regions, including those of the southwestern United States, northern Mexico, and South America. The scientific names are Larrea divaricata and Larrea tridentata. 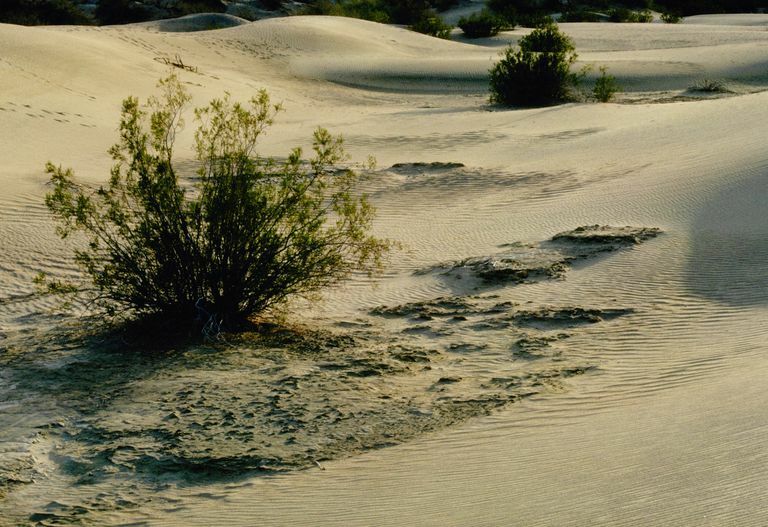 Other common names for chaparral include creosote bush, greasewood, hediondilla, jarilla, larrea divaricata, larrea mexicana, and zygophyllum tridentatum. Some early research points to potential support for some (but not all) of these uses, but these claims are not scientifically proven. Proceed with caution and talk to your doctor and pharmacist before you start taking chaparral-containing products. There are theories that it may also help with cancer treatment and tissue engineering. It needs to be noted, though, that research into NDGA is in its early stages. Some sources call it a successful treatment for numerous diseases, while many others say the research isn't sufficient for making recommendations. When you consider the side effects, which can be extremely serious and even fatal, it's enough to keep the medical community as a whole from supporting this plant for medicinal use. Antioxidants are generally believed to help prevent disease by reducing levels of free radicals in the body. In the cardiovascular system, they're believed to protect the arteries and blood vessels from damage due to high cholesterol levels, the deposit of fatty materials (atherosclerosis), diabetes, high blood pressure, and other causes. Research suggests NDGA may play a significant role in treating several types of cancer, including, breast, esophageal, lung, prostate, and skin cancer. It may slow down the growth of tumors, destroy cancerous cells, enhance some treatments, and protect healthy cells from the negative side effects of chemotherapy. A process called oxidative stress is believed by researchers to play a major role in neurodegenerative disease. Oxidative stress can result from free radicals, which antioxidants like NDGA can eliminate. NDGA is believed to have potent abilities for suppressing and inhibiting certain viruses, such as HIV-1 (human immunodeficiency virus), Herpes simplex virus, HPV (human papilloma virus), and Influenza (flu) virus. In the lab, when scientists create artificial organs and tissues (such as skin, tendons, heart valves, and bones), they need biological substances that help build a framework for cells and that won't harm the cells as they develop and grow. NDGA is believed by some researchers to be well suited for that use, with experimentation showing that NDGA can help stabilize other materials used for repairing tendons after the tendons are ruptured, torn, or cut. Studies show that it may be more effective than other materials that have been tested. While these potential uses of NDGA may tempt you to take herbal chaparral supplements, this plant comes some major warnings. Chaparral can cause liver toxicity and liver failure as well as other serious side effects. It can also react badly with a wide range of medications. A lot of people regard natural treatments as safe, but this is a dangerous assumption to make. Natural herbal remedies can be just as dangerous as pharmaceutical drugs. A study published in the journal Drug Metabolism Reviews says herbal supplements are one of the main causes of toxicity seen in clinics and account for about half of total liver failures. According to the authors of the Medical Science Monitor paper, low doses of chaparral-containing products are considered safe. However, higher doses are associated with dermatitis, kidney toxicity, bile duct toxicity, and liver toxicity, including liver failure and liver cancer. If you're taking medications that can damage the liver, adding chaparral to your treatment regimen can increase the risk of liver damage. These medications include Tylenol (acetaminophen), Cordarone (amiodarone), Tegretol (carbamazepine), INH (isoniazin), Rheumatrex (methotrexate), Aldomet (methyldopa), Diflucon (fluconazole), Zocor (simvastatin), and many others. Check with your doctor and pharmacist before taking chaparral-containing products. Chaparral is also not considered safe to use during pregnancy or while breastfeeding. Standard dosages for chaparral are not established. Check with your doctor, pharmacist, or a health care provider who is familiar with this herb before using it. Since herbal products are not regulated by the FDA, it's difficult to know whether you're getting a high-quality product or consistent dosing. Be sure to buy from reputable sources and remember that it's illegal for anyone to market supplements as treatments or cures for specific diseases. Any time you use herbal supplements, it's best to consider the safety concerns and discuss them with your doctor. Given the dangerous aspects of chaparral, it becomes even more important to be well informed and have those conversations before you start taking it. Also be sure to watch for negative side effects if you do use it medicinally. Lu JM, Nurko J, Weakley SM, et al. Molecular mechanisms and clinical applications of nordihydroguaiaretic acid (NDGA) and its derivatives: an update. Medical Science Monitor. 2010 May;16(5):RA93-100.